Fall is going on full force in Belgium right now and also winter is coming slowly but surely. Dry and tight skin and hands, busted lips, a running nose... The drastic change of weather is an attack on your skin, which needs to be taken care of appropriately with an adapted routine. I recently discovered some new products that I added to mine. 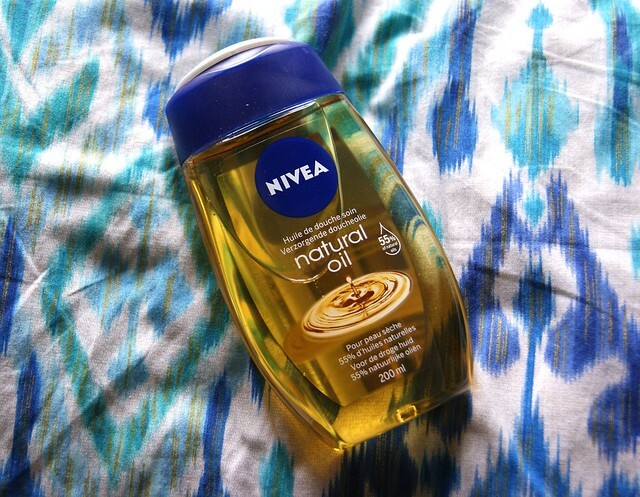 Nivea released a couple of products to get through winter with a baby soft skin. The area round my nose and my legs always get super dry and are definitely the biggest problem during this time of year. I decided to share some of my new favorites with you, in hopes of making your winter struggles a little bit easier. * The Nourishing Natural Oil Shower Oil (200 ml) sells for € 4,29. * The Care Cream sells for € 3,49 (100 ml) and € 4,49 (200 ml). 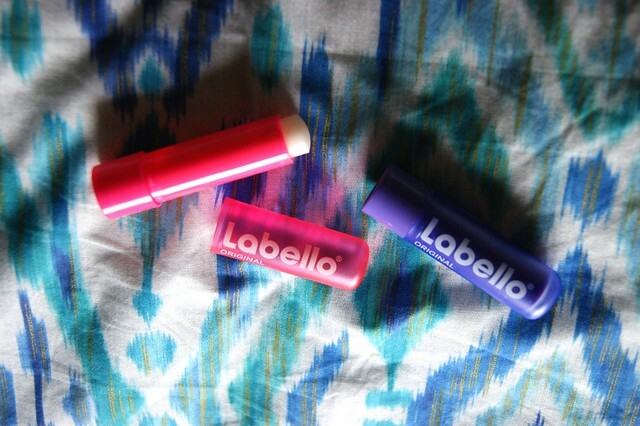 * The Labello limited edition neon lip balms sell for € 3,59 a piece. The Nourishing Natural Oil Shower Oil is the perfect way to already nourish your skin when you're taking a shower. Massage the oil on your body until it turns into a soft foam and rinse thoroughly afterwards. NOTE: make sure that you rinse your shower very well too to prevent slipping. The product is made out of 55% natural oils and has a subtle, warm scent. The cream is suitable to nourish and hydrate both face and body. I use it after coming out of the shower, having used the oil above before. 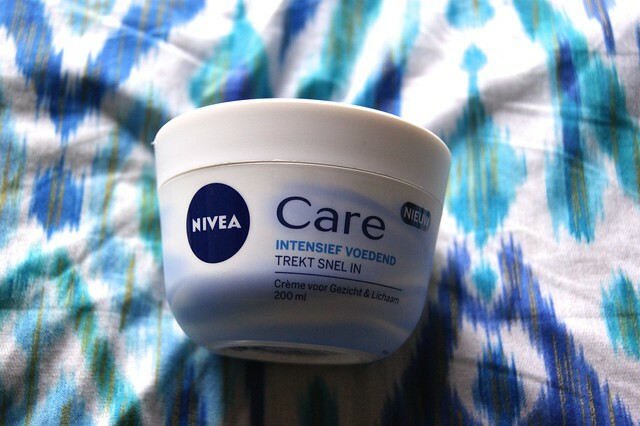 The cream isn't sticky and gets absorbed by the skin in no time, which is a plus for me. It allows me to put on my pants very quickly, instead of waiting for my legs or body not to be sticky anymore. Not available on the packaging. 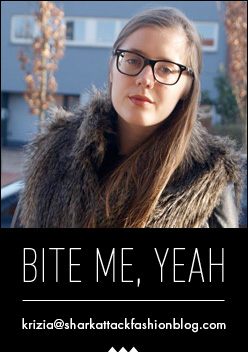 Ah, busted lips; we all get to deal with it at a certain point during fall and winter. 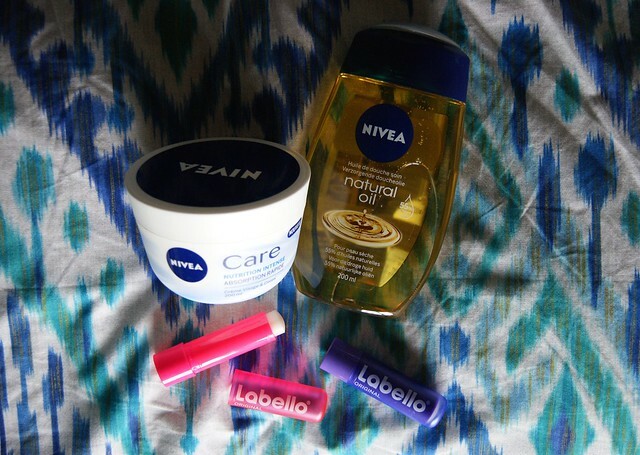 As far as I can remember, I've been using Labello lip balms: starting with the iconic white/blue packaging and then using a pearly rose one when my parents started to allow me using make up (for a little bit). The Labello lip balms contain Shea Butter and Panthenol, providing hydrated and moisturized lips and giving them a subtle shine as well. For this winter, Labello has come up with 6 limited edition neon packages. The pink and purple one (pictured above) are my favorite, but they also come in neon blue, orange, yellow and green. Get yours while you can now! They look super fun and are very easy to find in your make up bag or purse.